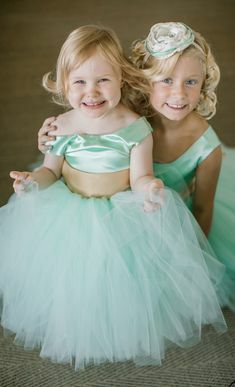 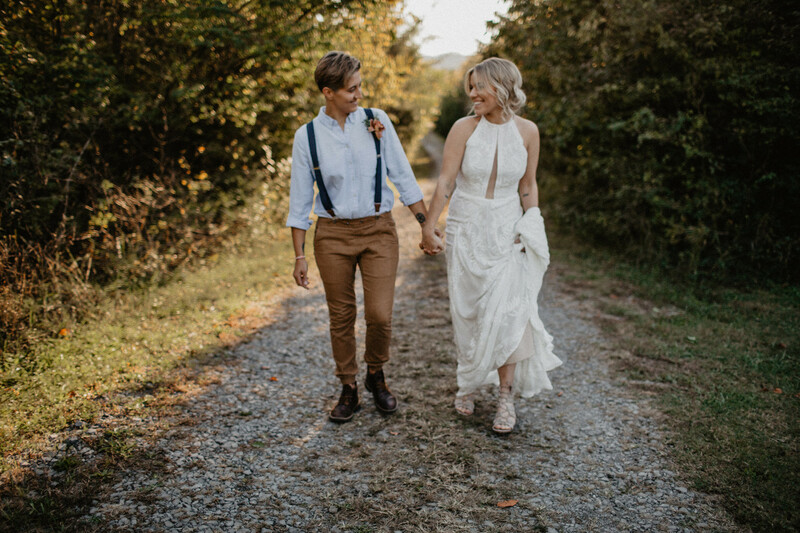 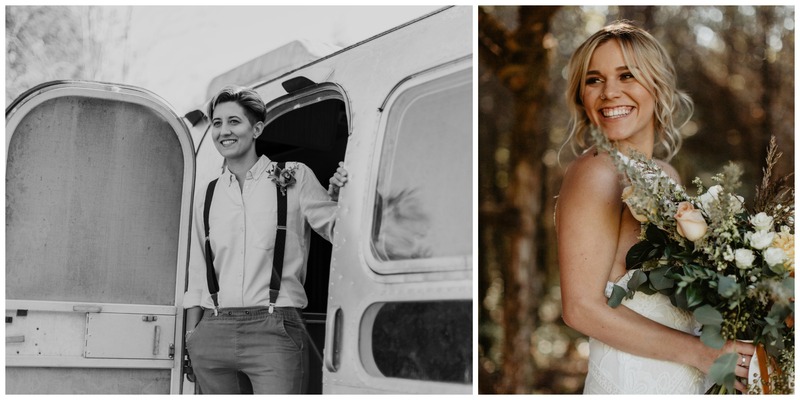 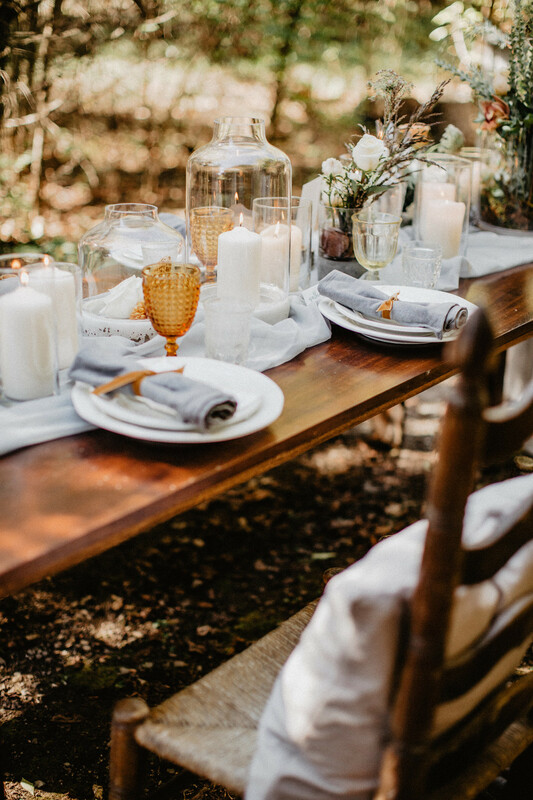 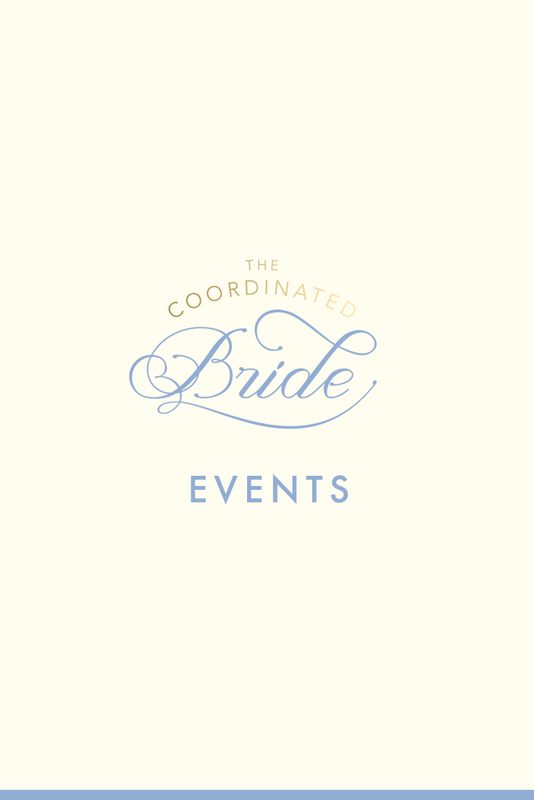 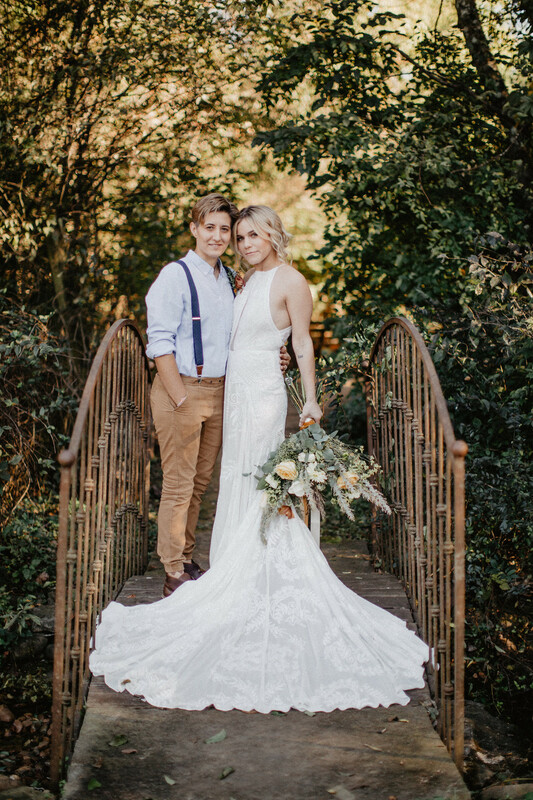 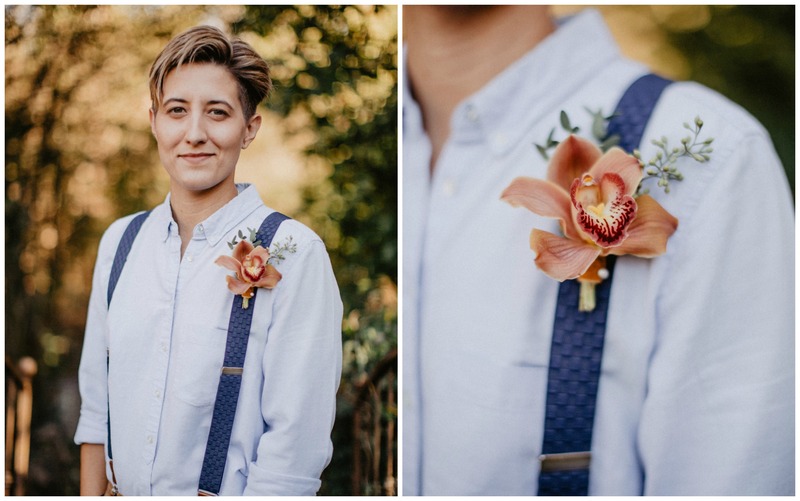 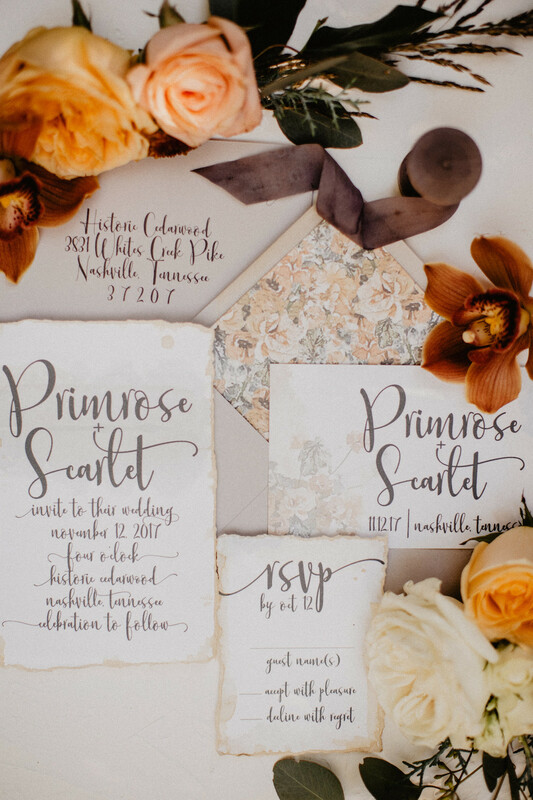 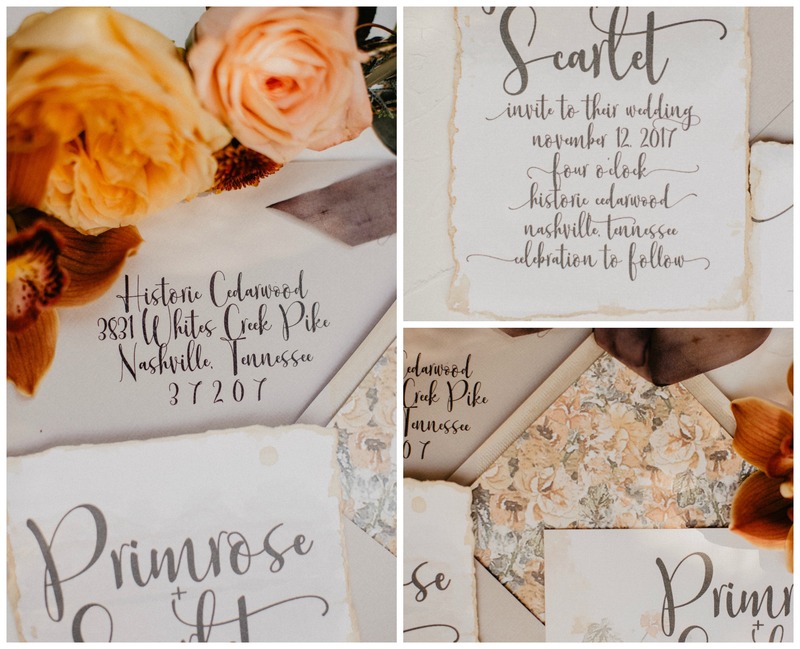 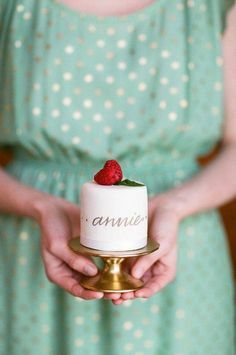 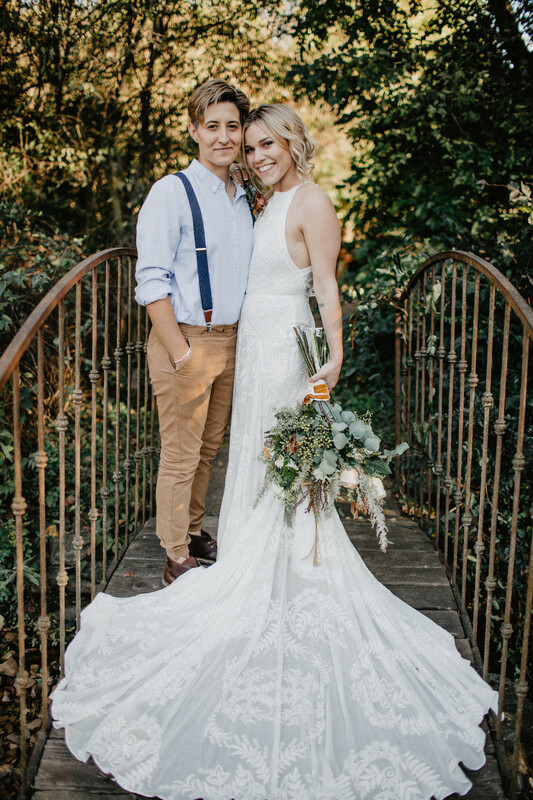 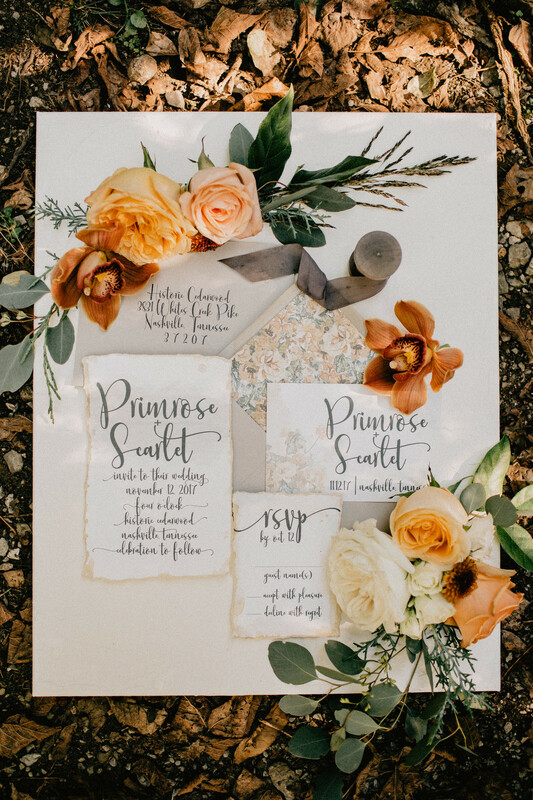 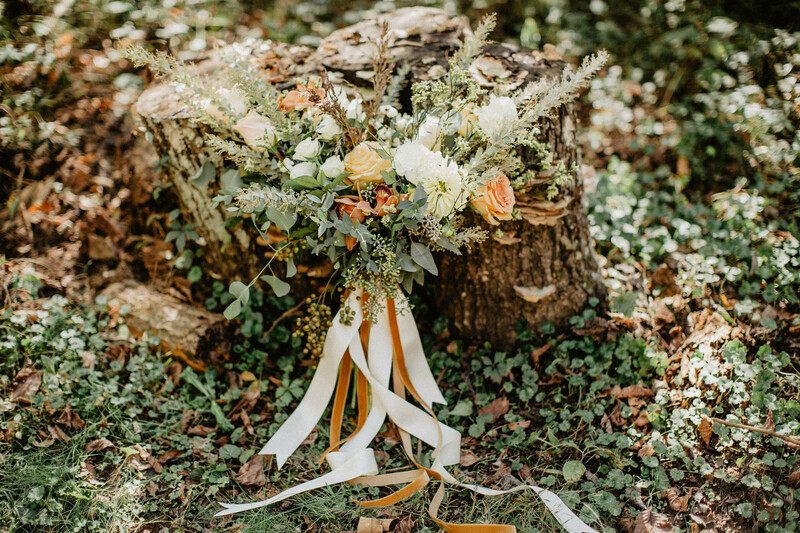 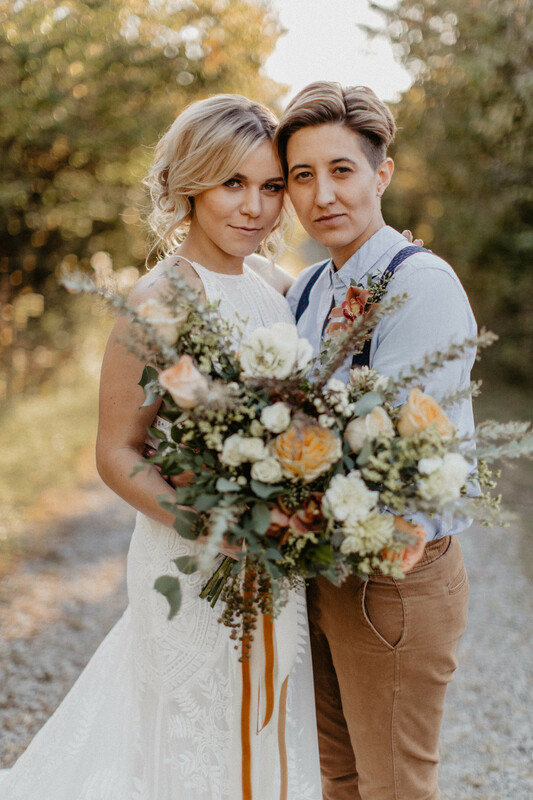 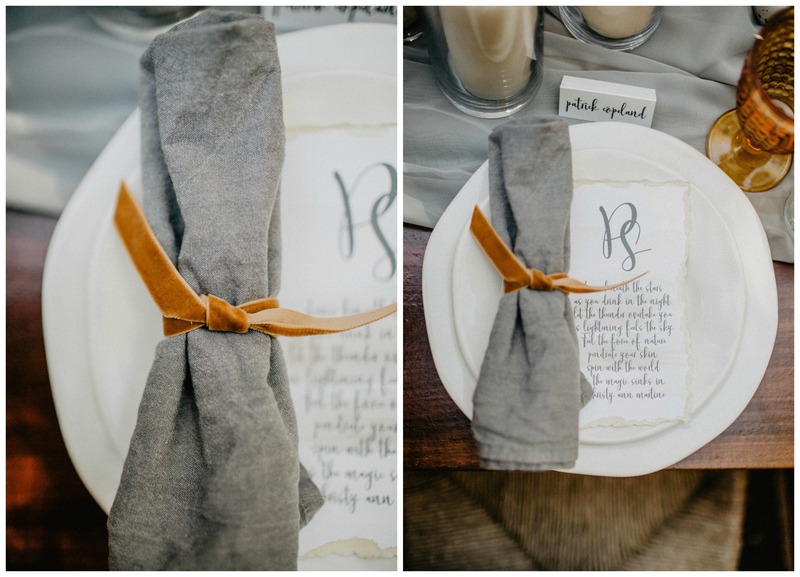 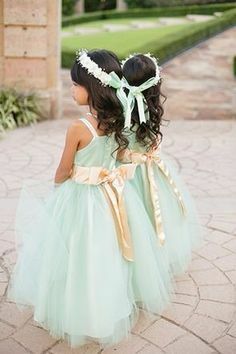 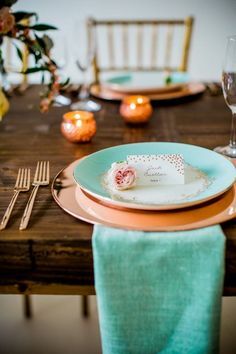 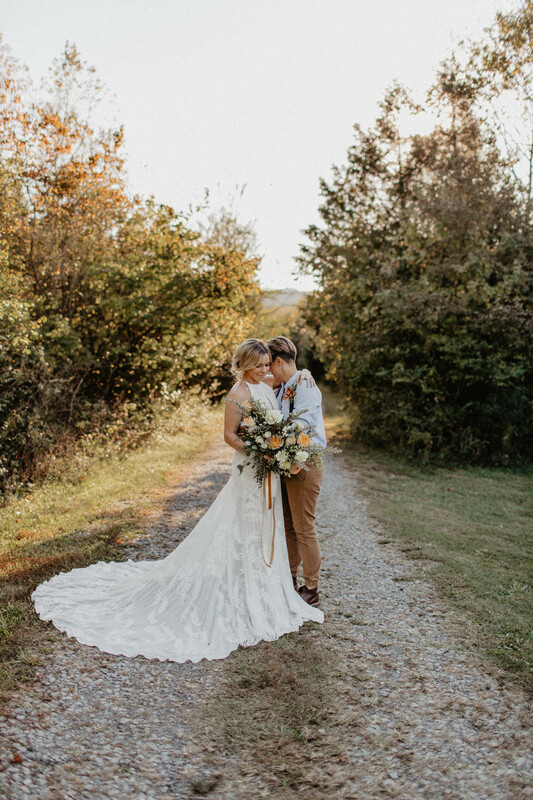 Primrose and Scarlet got married at Cedarwood in Nashville, Tennessee; an historic 50 acre estate comprised of rolling meadows, lakeside woods and deep forests. 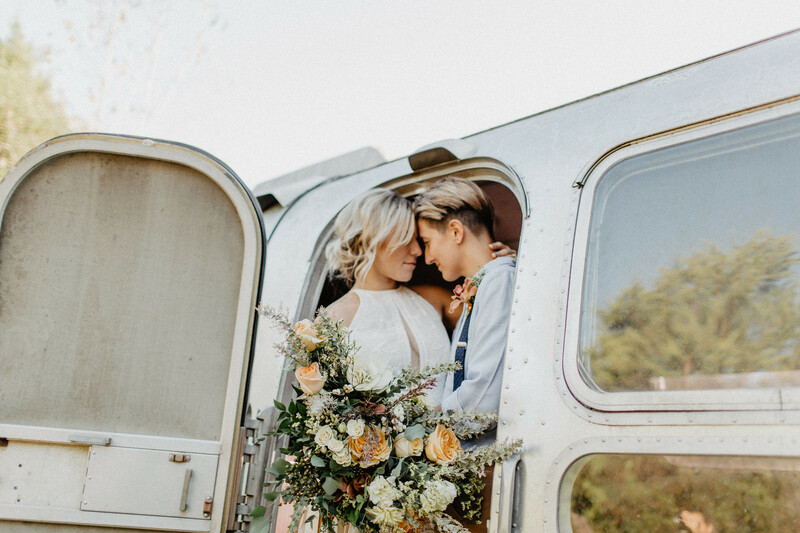 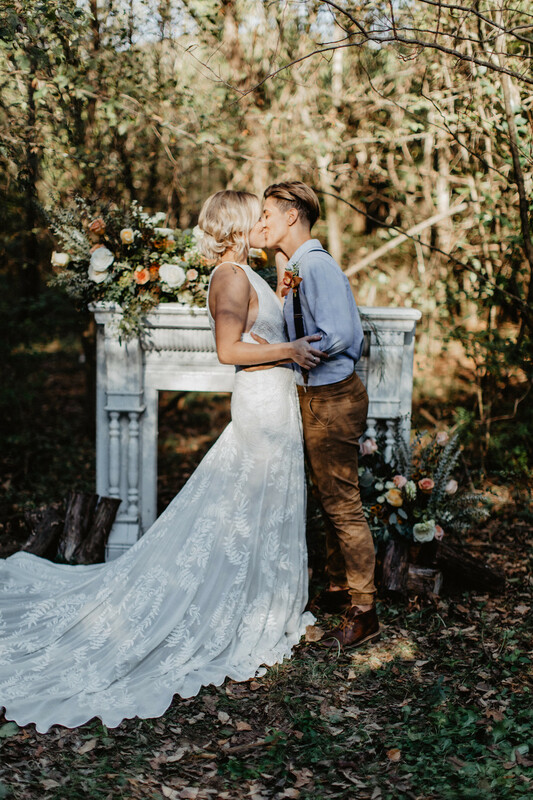 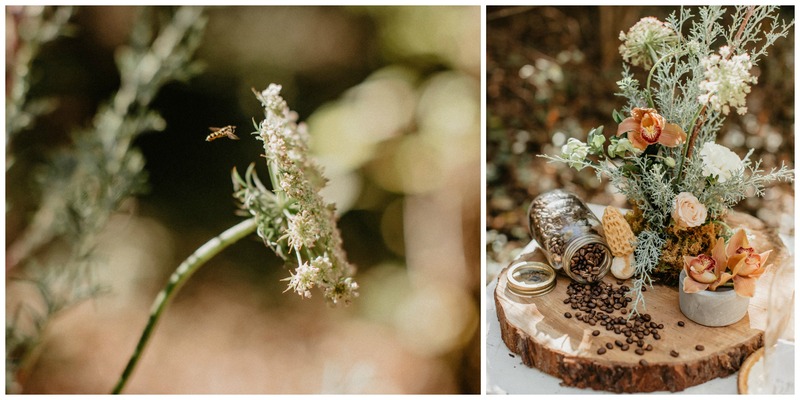 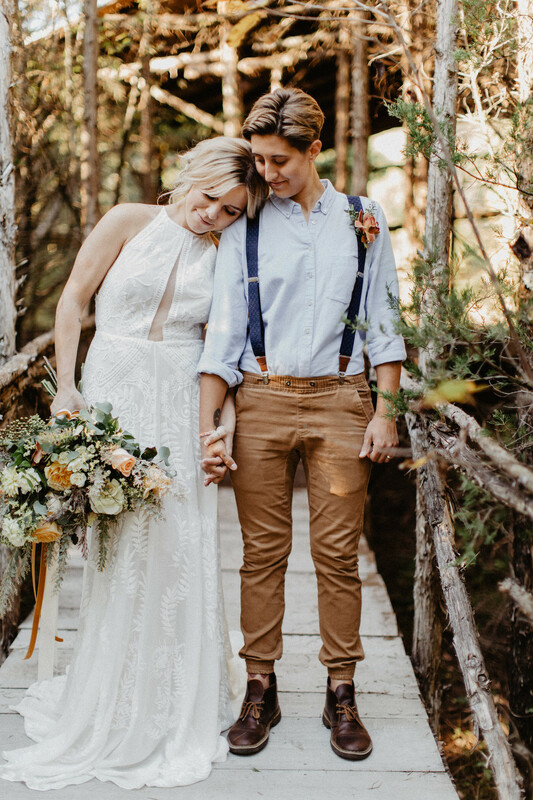 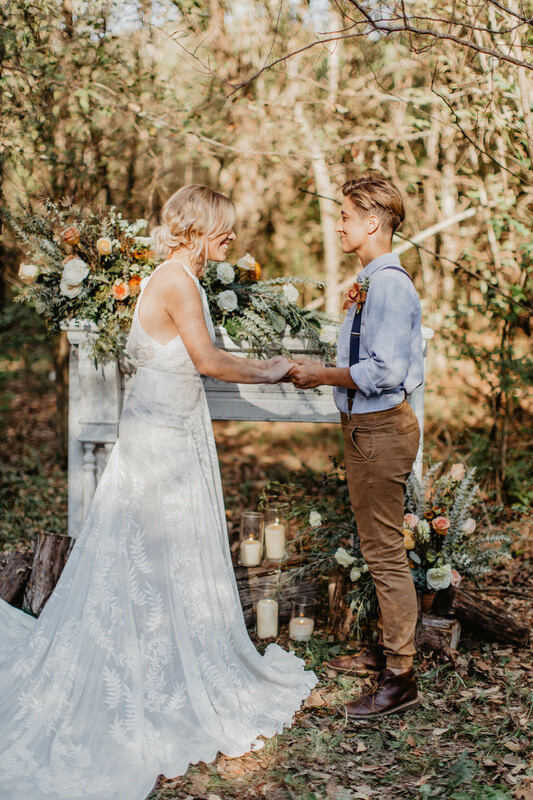 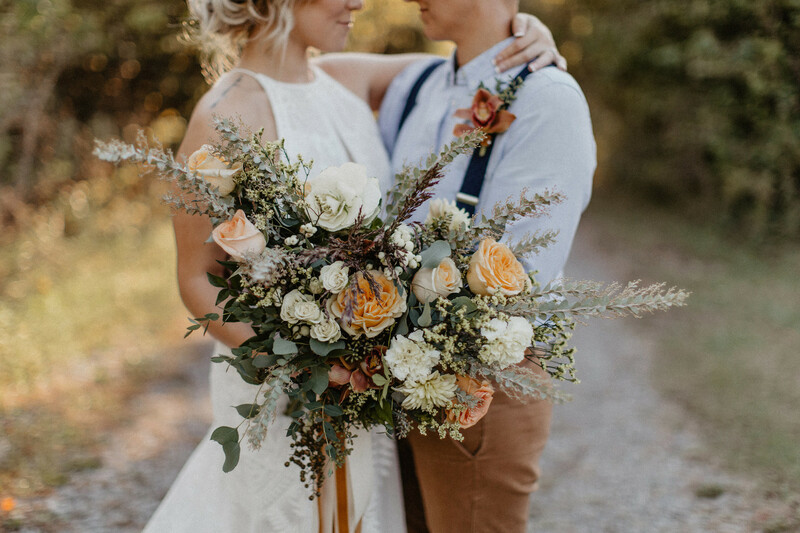 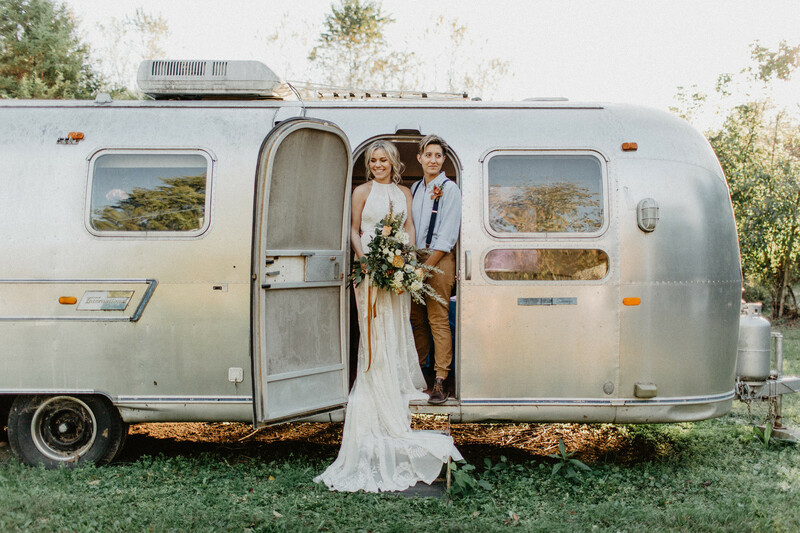 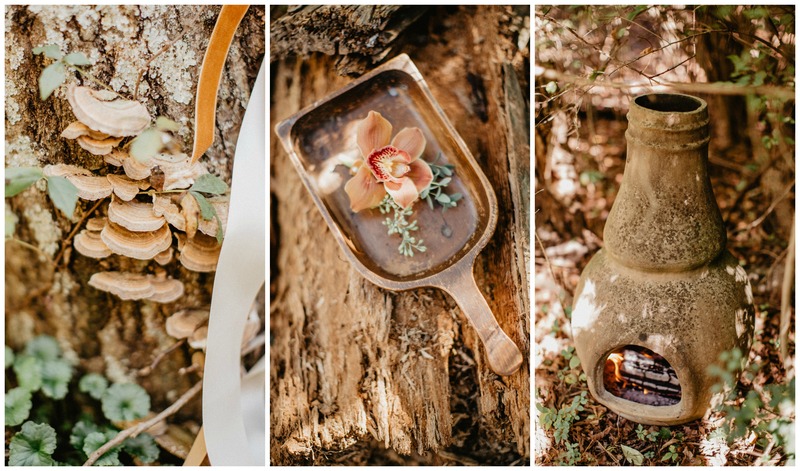 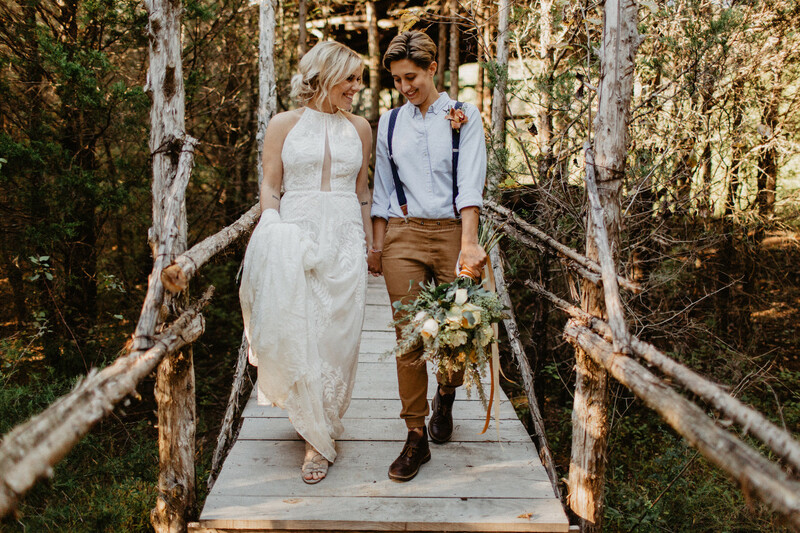 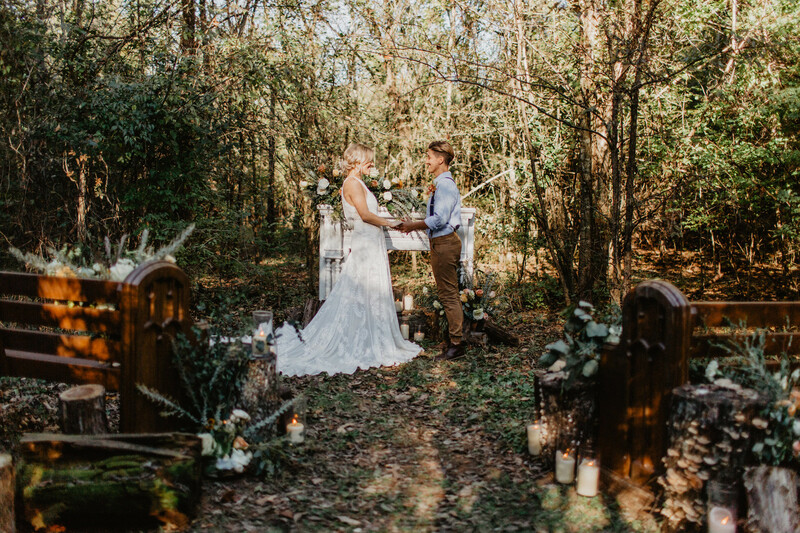 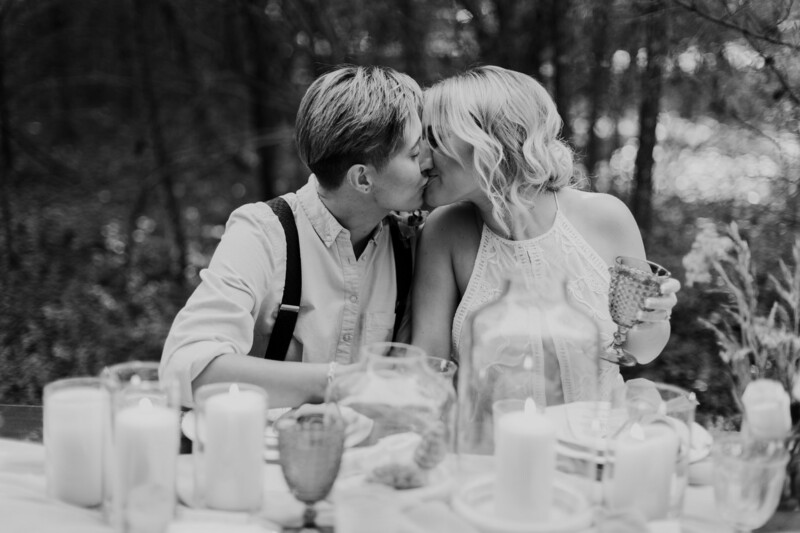 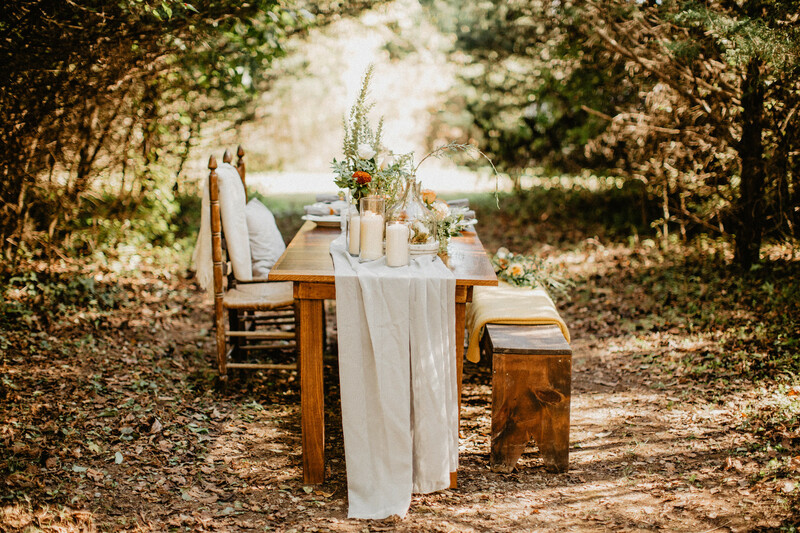 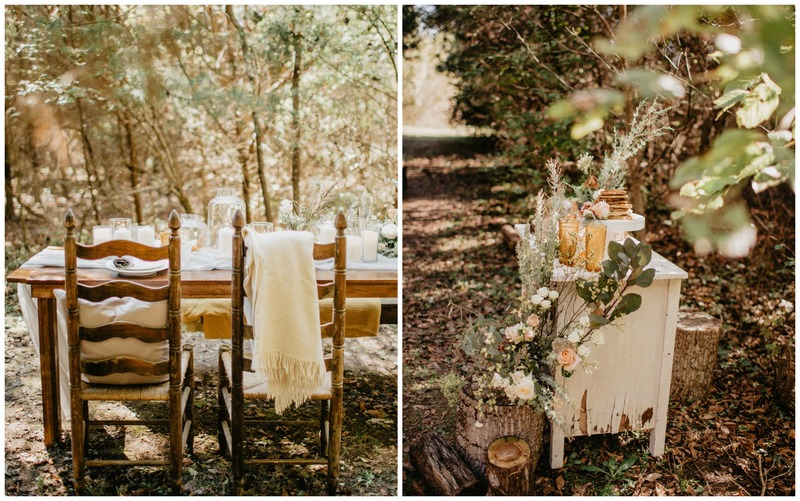 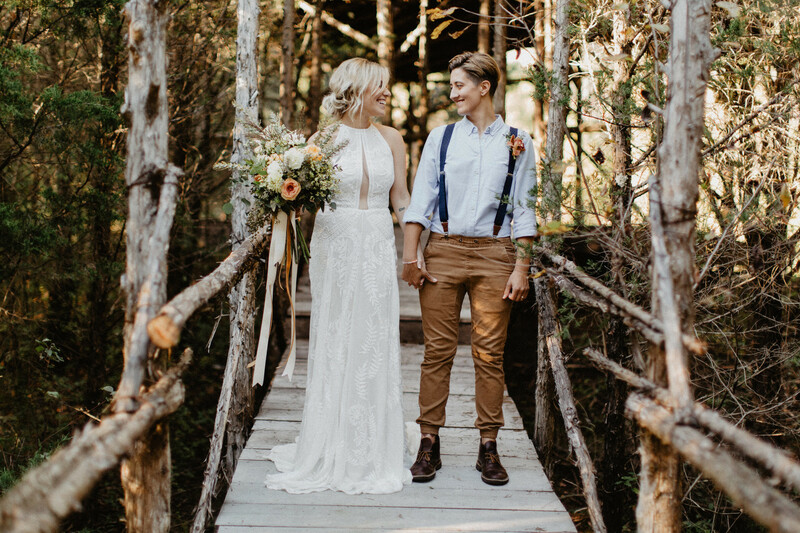 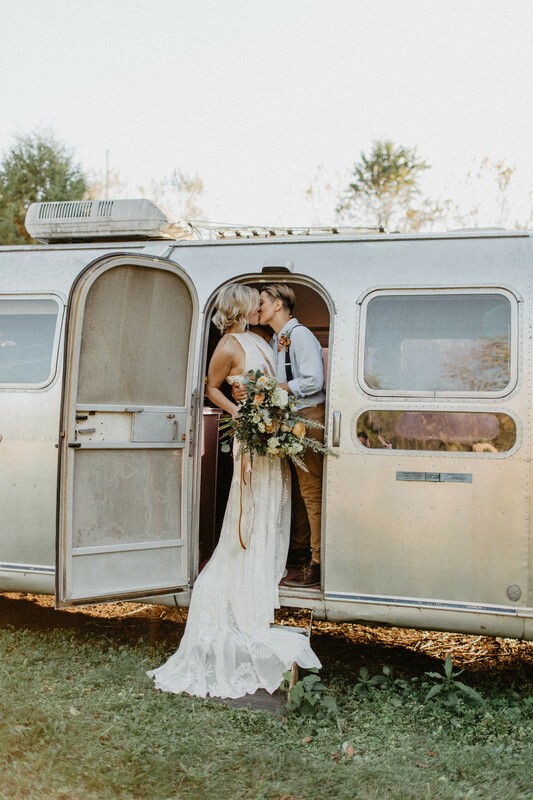 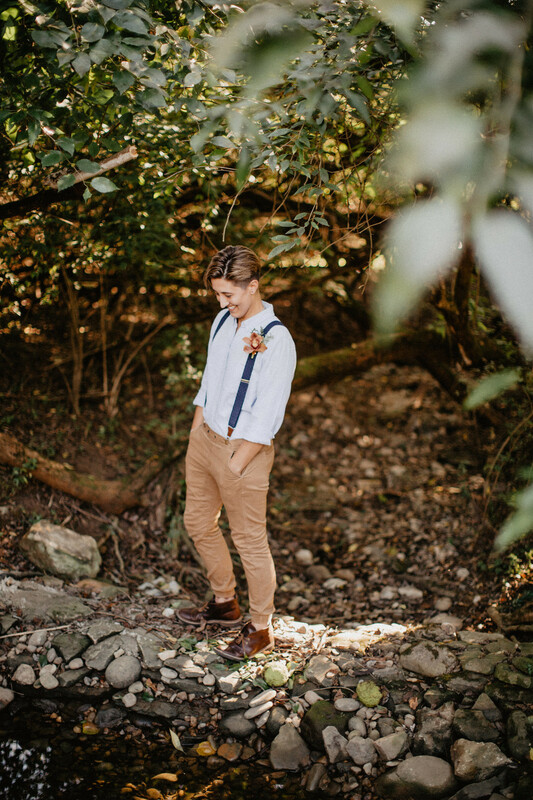 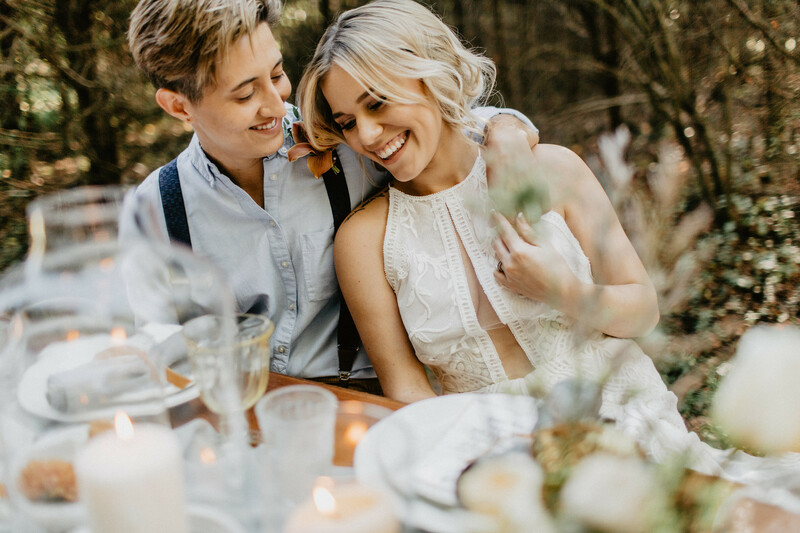 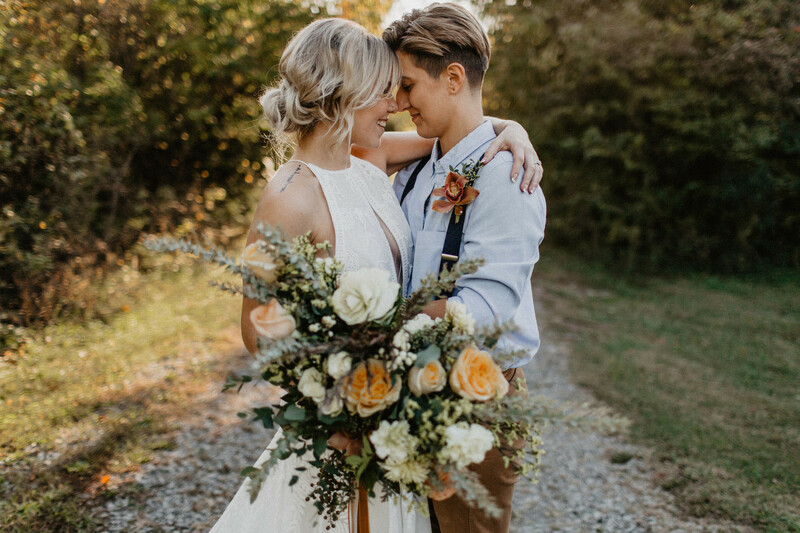 They decided to take the road less traveled for their intimate autumn elopement, selecting a magical woodland setting for al fresco nuptials and a celebration dinner. 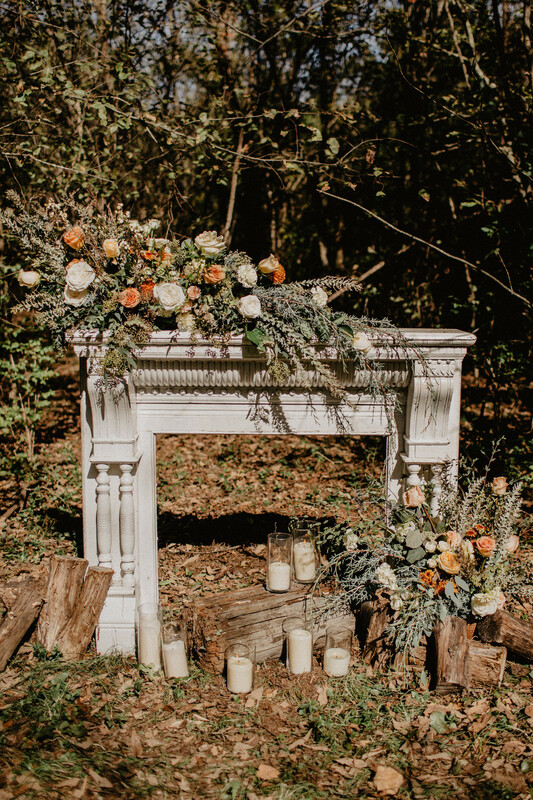 The Cedarwood design team coordinated seasonal colors and comforts with otherwise wild land by adding layers of glowing candles, warm throws and a vintage fireplace altar, creating the ultimate romantic refuge. 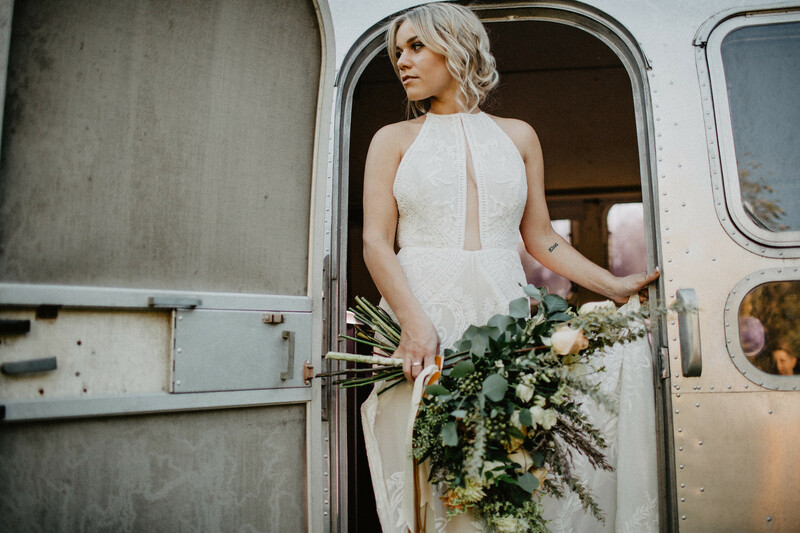 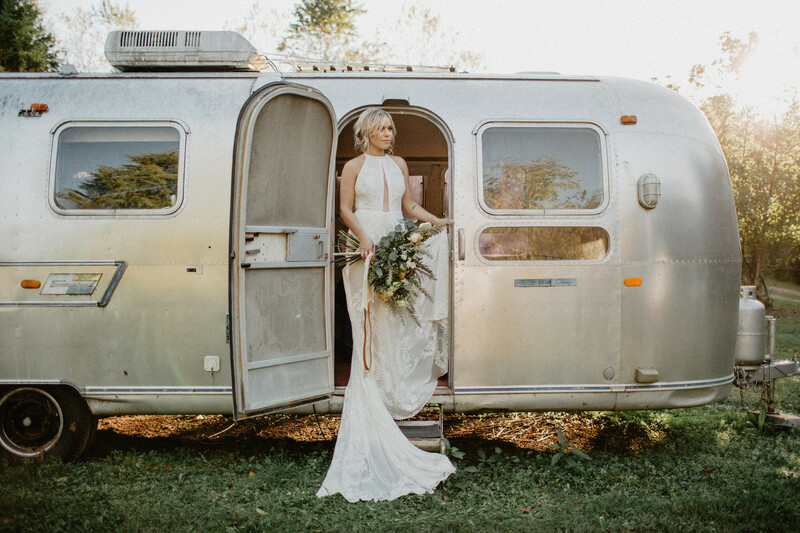 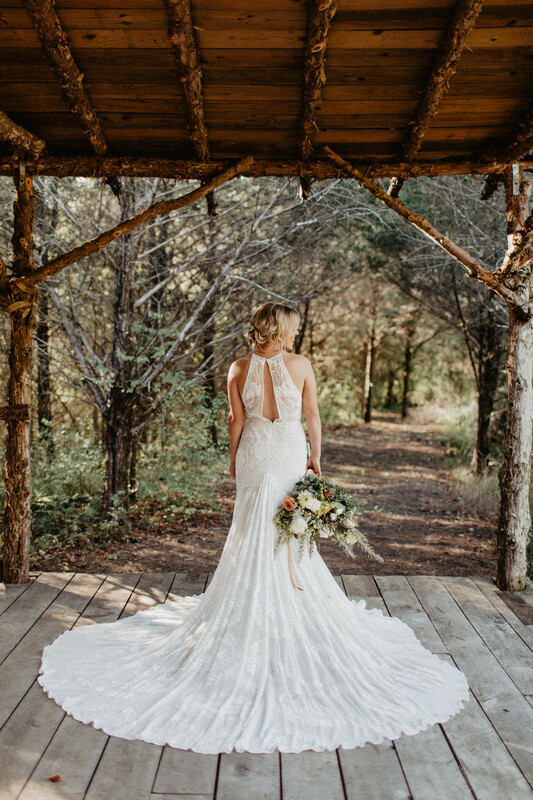 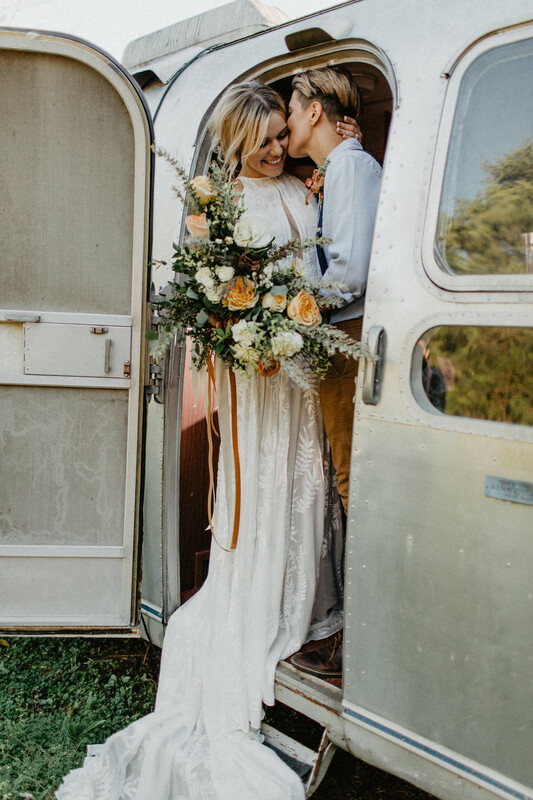 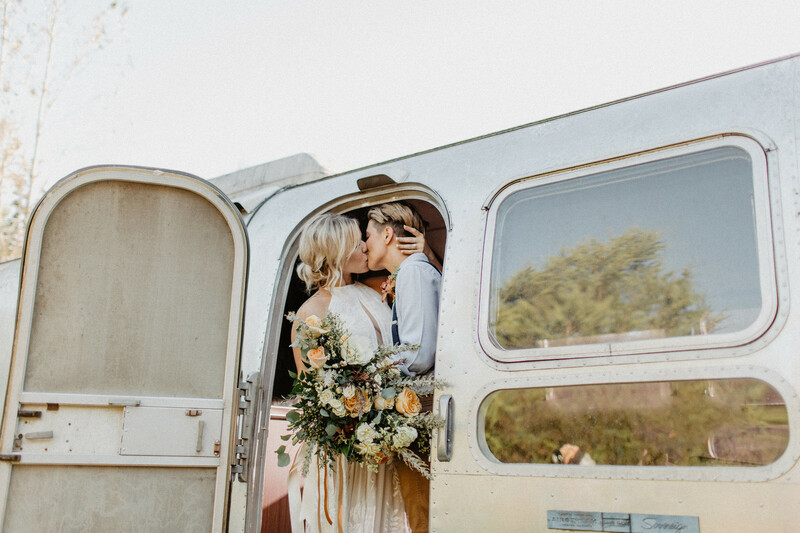 Designer gowns worn in unexpected places is so fabulous and the bride’s Rue De Seine gown fit the idyllic setting like an enchanted fairy damsel. 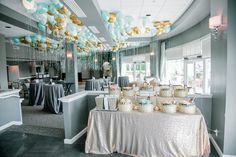 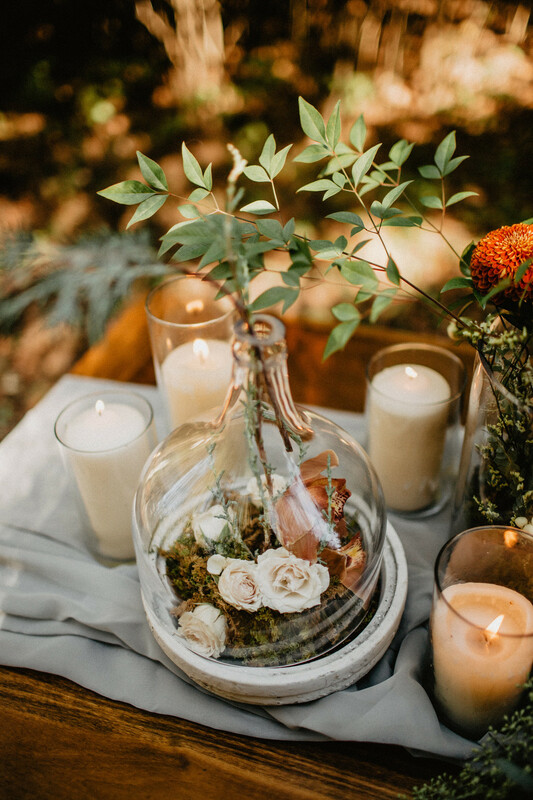 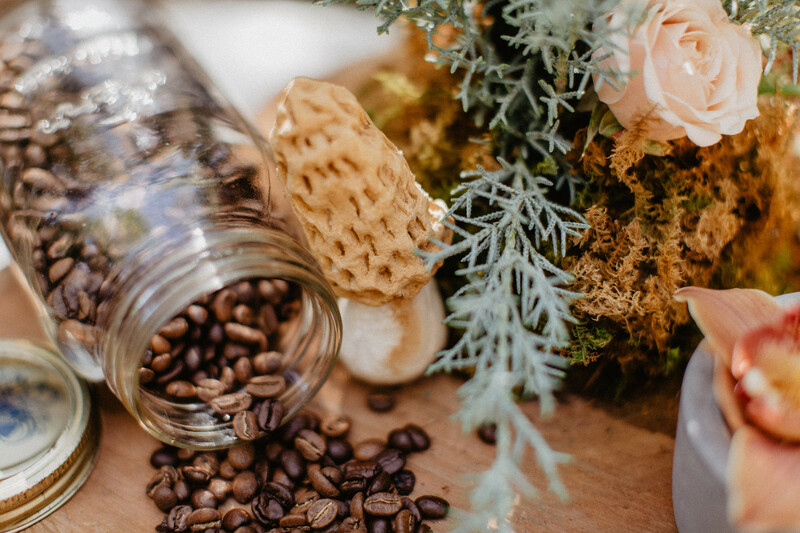 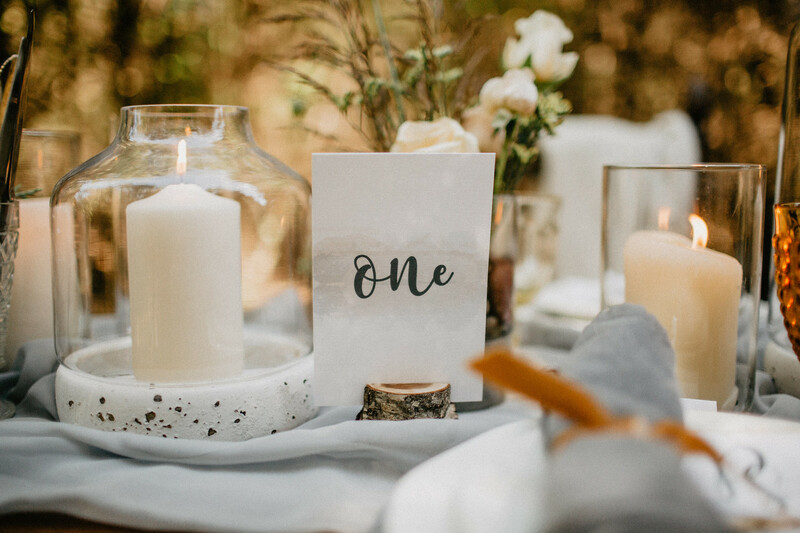 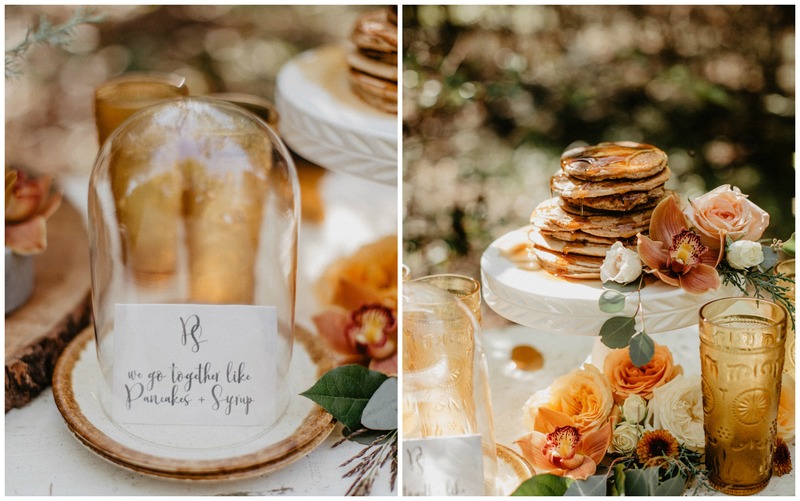 Surrounded by raw natural beauty, there was a tablescape with vintage crystal and velvet with earthy terrarium-inspired florals and a pancake stacked wedding cake for a luxurious rustic experience.